This can be a daunting subject and is also likely to raise tensions during your separation process. 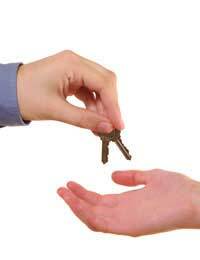 There is no standard 50 – 50 rule in UK law regarding the division of property and assets. The legal process is set up to ensure a fair division of assets based on both partners’ circumstances and needs. The legal costs of divorce can also be substantial. The more you and your partner can agree between you the lower the cost of your separation. If you and your partner have decided to separate, one of the best things you can do is sit down and talk through financial matters together. Make a list of all the issues affecting you, including property, other assets, where the children will live, you and your partner’s earning potential, debts and pensions. If you are having trouble talking, you may want to seek help from a professional mediator. They specialise in helping couples come to an agreement while maintaining good communication and family relationships. They can save you a lot of time before you both present your case to lawyers. If you cannot make an agreement, a court can be asked to decide. Remember that courts do not apportion blame, except in extreme cases. One partner will not be penalised for leaving the other. Also remember that there are a wide range of powers available to the courts. For example, they can demand to see financial statements, or sign your property over to your spouse even if it is registered solely in your name. The ‘ex-matrimonial home’ can be an emotive subject. Not only is it often the largest financial asset a couple owns, it may also be the place your children were born and grew up in. You may find life much harder without the security it has provided. If it is going to play a central part in the theatre of your divorce, think through exactly how important it is for you and consider you may have to let it go. In the immediate future, make sure that your home is protected. Ensure the payments are kept up. If it is not registered in your name you may want to change this, in order to ensure it is not sold or alterations made. New laws make it easier to do this, so you should discuss it with a solicitor. If you and your partner have no children, a court usually divides your assets equally. Ideally there will be enough money for both partners to buy new homes. Whatever your circumstances, the court will encourage you at every stage to make an agreement with your partner. They will make an order if you cannot agree. If you have children, the primary consideration will be their welfare. In many cases where a mother is awarded residency of her children, she also stays in the family home. In some cases, the father retains a stake in the property which can be sold when the children are older. A court will consider you and your partner’s earning potential when dividing up financial and other assets. If a mother has been out of work, they will not expect her to find employment immediately. In certain cases, even if a father has recently taken a pay cut, they will consider his previous, long-term earning potential when dividing up the money. They also consider whether you are living with a new partner, their contribution to a new mortgage and other living expenses. If the wife has spent many years caring for the children the court may be disposed to securing an income, pension rights and capital for her. Obviously, child care and maintenance payments are a priority consideration when there are children to care for. Pensions can be one of the largest assets in a divorce, so you will want to find out your situation and consult a solicitor. Your pension could mean the difference between a comfortable retirement and living out your old age in penury. Even if the pension is your partner’s, it goes into the pot of assets that the court divides fairly. They are calculated at their current cash equivalent transfer value. You are jointly liable for debts to which you are both signatories. If your partner is continuing to run up debts, you can ask the bank to require joint signatures for withdrawals, freeze the account, or open a new account in your partner’s name and deposit some money. Credit cards can be cancelled, or you could ask them to lower the credit limit. As soon as you separate, you will be considered separate individuals by the Inland Revenue. If there is only one adult in your household you can apply for a 25% reduction in your council tax. You may also be eligible for benefits. Bear in mind that if you have children the Child Support Agency will become involved when you apply. My divorce was finalised in 2012. My ex was very abusive and point blank refused to sort out any finances apart from giving me 50% of the equity of our home when it was sold (he had already syphoned off tens of thousands of pounds from the equity in the months prior to our separation). I used my share of the money to put a fairly substantial deposit down on a property for our daughter and I to live in, he squandered his (he's totally irresponsible with money). I have recently been diagnosed with cancer and am unable to work, and because of this I need financial support from my ex. He used to pay child maintenance, but has persuaded our now 16 year old daughter to go and live with him (totally against my wishes) and has completely stopped paying maintenance. My question is two fold. Can I seek spousal maintenance from my ex (he is an international business man and earns a very substantial wage) and if I do will he be able to lay claim to the equity that I now have in the house I bought for my daughter and I following the divorce? I am sorry to hear this. Much depends upon whether your divorce was a clean break one or not, please see link here.